Limited series during the 2015 Marvel event Secret Wars. Not required reading for the main storyline. 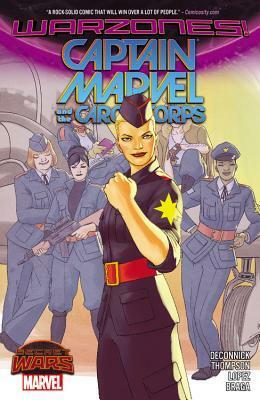 Captain Marvel and the five elite female fighter pilots called the Banshees (or Carol Corps) are the first line of defense for Hala Field airbase against threats like the Ultron robots. They are sent to destroy a ship. The Baroness of the battleworld says that it’s an Ultron ship so no human is on it, but something feels strange to Captain Marvel. And when she sees a human on board the ship, she decides to rescue him against orders. Of course, the Baroness doesn’t like anyone going against her orders, much less against Doom’s orders. Some of the Banshees are very smart and very curious and they start to question just what is surrounding their small world. God Emperor Doom has forbidden such questioning, though, so it could prove very dangerous. But Carol has now her own doubts and she starts to wonder about a lot of things, including the origin of her own powers. This is a surprisingly good read, for an event tie-in. However, to really understand the situation the characters are in, you should read the Secret Wars main story; it isn’t explained much. Also, the ending is very open but of course this timeline was wiped so it doesn’t bother me as much as it usually would. The pilots are an interesting bunch, some more cautious and others brashly jumping into danger. One of them was accepted in the Thor corps and Carol meets with her briefly. Recommended only for CM fans who have read Secret Wars. It doesn’t add anything to the event but I quite liked it. Apparently, the collection has also issue 17 which is the last one of DeConnick’s run. It has a different artist and a different feel from the miniseries and even different characters because they’re Carol’s usual supporting crew. It’s a fitting end for DeConnick’s run but if you haven’t read the rest of the series, it could be puzzling. Caroline Slade is a county manager for the Departement of Agriculture in South Caroline. She’s a by-the book civil servant who is strongly considering a divorce from her verbally abusive husband Allen. The only reason they’re still married are their school-age children, Ivy and Zack. Also, her immediate boss had killed himself just a couple of days later and Slade (don’t call her Caroline) takes over for him. 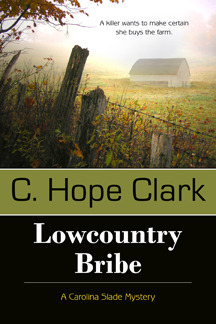 But then a local hog farmer, Jesse Rawlings, offers her a bribe about abandoned ranch. Slade rejects it, of course, wonders if she should report it like the law says. In the end she does report it – which leads her into a world of trouble. She’s known Jesse her whole life, but he turns out to be quite an unpleasant man, threatening her and her family. He even sexually assaults her pretty early in the book and Slade doesn’t report him, thinking of her own reputation. When FBI Agent Wayne Largo and his younger partner Eddie comes to investigate the case, Slade’s life becomes even more complicated when they want to keep the investigation secret from her co-workers. And the complication just mount up when she becomes attracted to Largo. This was a good mystery with interesting characters. Almost every character has secrets of their own. The plot isn’t too fast but the tension keeps growing steadily. Slade is a determined woman and dedicated to her work and family. She always wants what’s the best for her kids and protects them with a gun if necessary. She’s smart and independent at work but stayed married to an abuser for many years (which, sadly, isn’t unrealistic) and didn’t realize some things about people close to her. Her best friend is in the same line of work but lives in a different city. She’s the first person narrator. However, the book wasn’t perfect. Many of the minor characters are depicted as corrupt or simply malicious under a (somewhat) nice exterior. A bit too cynical view for my tastes. I also didn’t care for the sexual threats Slade is almost constantly subjected to. Otherwise, this was a good read. A couple of plot threads are left open. I suspect they’ll be followed up in the next book. The first book in a French historical fantasy series. Original title: Les lames du Cardinal. 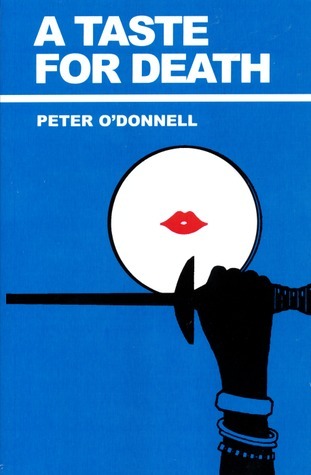 Finnish title: Kardinaalin miekat. 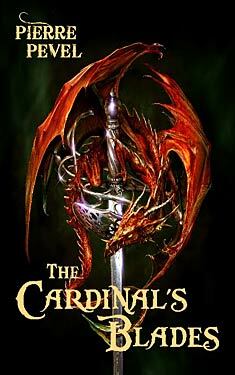 The book is set in Paris in 1633 with Louis XIII and Cardinal Richelieu ruling the country, in their own ways. Paval has done meticulous research. Indeed, he sometimes interrupts the story to tell us details about Paris and the historical characters at the time. A couple of Dumas characters make cameos. As a powerful man with many enemies, both personal and France’s enemies, Richelieu employs swordsmen. Some of the best were known as the Cardinal’s Blades but some five years ago the Cardinal had to disband them because of political reasons after a disaster at La Rochelle. Now, he has summoned them to serve him again. Captain Étienne-Louis de la Fargue isn’t happy to serve and Richelieu has to resort to some blackmail to get the elderly captain back, and soon la Fargue is gathering his group together again. The womanizing, hard-drinking Nicolas Marciac who is also a doctor. The elderly Spanish master swordsman Anibal Antonio Almadès de Carlio. Young Baroness Agnés de Vaudreuil who is headstrong and independent. And a couple of others. All of them respect and love the captain and follow him willingly, even though most have reservations about the Cardinal. On the other side are the forces of the Black Claw, a secretive Spanish group of people descendent from dragons. They use magic and small pet dragons as well as manipulation and assassinations to infiltrate France. And perhaps the Cardinal who is ruthless when it comes to keeping France safe. In this world, dragons are real and there are different kinds of dragons. The smallest ones some people keep them as pets and a few can be trained as couriers. Some dragons are larger than horses and willing to carry people. A few people have dragons as ancestors so they are “half bloods”. They have lizardlike eyes and many people shun them. A few were described as lizard men. Apparently, the ancient, huge dragons were very intelligent and malevolent. Also, close contact with dragons can infect people with incurable disease. And yet, all these dragons don’t seem to have affected the flow of history much. Also, dragon couriers are apparently not trustworthy because important messages are still sent in horseback. Indeed, one of our heroes is carrying such a message and is followed and attacked. I would have thought that following a flying courier would have been much harder. Pevel has lots of action with daring escapes, duels, and swordfights. He also describes the Paris of the time wonderfully: it has both mansions were the rich and powerful live, the secret courts where the beggars and criminals meet, and filth-ridden streets. The Finnish translation includes a map of Paris in 1633. 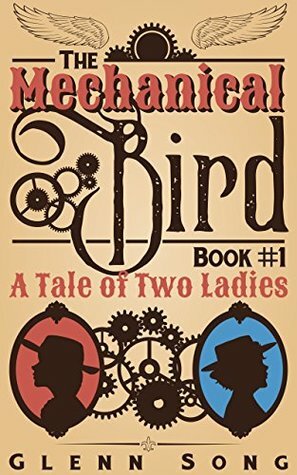 The pace of the story is quick with short chapters that sometimes end in cliffhangers. There are a lot of POV characters: in addition to all the blades, there’s the Cardinal, two or three antagonists, and a surprising number of only once-seen characters. This made it sometimes a bit hard to remember who the characters were. The characters are painted with broad strokes and are epic swordsmen who can handle a dozen enemies at once. In contrast, the plot has lots of twists and turns, keeping this reader guessing. There are also a couple of surprise revelations, one which I guessed beforehand and one which I didn’t see coming at all. I didn’t like this as much as I wanted to but I might read the next in the series. Hopefully that one doesn’t end in a cliffhanger because the rest haven’t been translated to Finnish. Part of the Secret Wars event. In this alternate X-Men universe, the X-Men lost the Inferno event. The story begins four years after the X-Men lost Inferno. Demon-infected Manhattan has been separated from the rest of the US with walls, force fields, and magical wards, and the X-Men guard the walls. Illyana has been imprisoned in the Empire State Building. Colossus wants to rescue her and has made a deal with Scott Summers (who is, by the way, this domain’s baron! ): one day a year Colossus and a team of X-Men try to free Illyana and the rest of the time Colossus is part of the regular X-Men team. But this time things go really wrong: Scott and Colossus are crippled and Illyana is revealed to be the Darkchild, ruler of Limbo and demon-Manhattan. And she chooses to stay with the Inferno demons. The next year, when Colossus wants to lead a team to again attempt the rescue, Scott makes it clear this will be the last attempt. So, Colossus, his lover Domino, Nightcrawler, and Boom-Boom head out to rescue Illyana. Unfortunately, their team isn’t a match for the forces which have been building in Manhattan. Colossus and Domino end up in the hands of the Goblin queen Madelyne Pryor and her consort Alex Summers while Illyana herself captures Nightcrawler and someone else captures almost fatally injured Boom Boom. However, Madelyne has an interesting offer to Colossus: if he fights by her side, he can rescue his sister and Madelyne will rule Inferno. Inferno is actually not one of my favorite storylines because it was quite disjointed, jumping to different X-comics. (And of course Madelyne was right to hate Scott for abandoning her and their infant son and to hate Jean for, essentially, condoning it. However, Madelyne had no right to hurt innocent bystanders!) But this is exactly the kind of spin off I really like: alternate version of characters who are still heroes but different, different romances, difficult choices to make, and Scott in a wheelchair calling “To me my X-Men”! Not to mention what Illyana did to poor Kurt… I wouldn’t want this story to become the status quo for X-Men but it’s interestingly different from the usual status quo. Yeah, I really liked it. Limited series during the 2015 Marvel event Secret Wars. Not required reading for the main story line. Douglas Ramsay is a mutant who can understand any language, including secrets hidden by body language. This makes him very valuable to many people. He lives is a Battleworld ruled by Baron Apocalypse and his viceroy Mister Sinister. 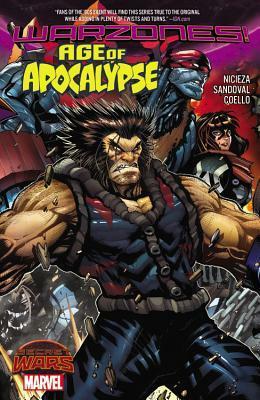 Apocalypse’s Four Horsemen and Beast have also a lot of influence and power. Beast and Doctor Nemesis make horrific experiments in their lab. Humans have been driven into a ghetto which is overseen by Sheriff Carol Danvers. Most mutants live apparently well but a few have chosen to oppose Apocalypse’s rule: Magneto and his X-Men who were named after Magneto’s dead friend Charles Xavier. But in an effort to save Douglas from a Horseman Holocaust the X-Men Storm, Dazzler, Colossus, Iceman, and Exodus are killed. Douglas and badly wounded Nightcrawler are captured, and now the surviving X-Men have to save them. But Wolverine, Magneto, Emma Frost, Rogue, and Blink are determined to do it. This is an action-packed return to the Age of Apocalypse cross-over event in the 1990s but not a continuation. Several things are different from the original story, most notably characters who weren’t part of the original. Still, it was great (and chilling) to see again the cruel and cold Prelate Summers Brothers and the Dark Beast. As a linguist, I really liked the way Douglas finally got to be not only useful but the best hope the world has. While he was alive in the New Mutants, he was always underappreciated. This is a treat to us who enjoyed the original story but I’m not so sure if other people will get much out of it. Some of the motivations to the characters are strange, to say the least, and the art style doesn’t appeal to me any more. It was interesting to read this and Years of Future Past back-to-back. In this comic, the mutants are supposed to be at the top of the heap; the humans are in ghettos. But none of them seem happy: the bad guys are cruel (or world-weary and disgusted with the world) and the X-Men are desperate and miserable. The mutants is YoFP live in concentration camps near cemeteries full of their former friends but at least they have dependable team mates and a lucky few have loving families. Of course, the chance of drama increases with unhappy characters and both of this alternate worlds are… extreme to say the least. In contrast the X-Men in the X-Men 92 comic seemed much better off.